Extended car warranty insurance is a service contract between the car owner and a car warranty provider. The service plan protects your vehicle from mechanical breakdown. It can be seen as an extension of a service plan that is initially received by the car purchaser from the manufacturer. Cheap extended car warranty insurance should be avoided as they do not disclose the information you require to make an informed decision. Your car will be repaired to the extent of your extended service plan. If you are uninsured for mechanical breakdown or wear and tear you will pay more for your car repair. 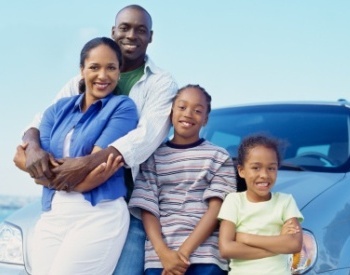 The best extended car warranty insurance plan is bumper to bumper; it is expensive initially but it will save you from heavy car repairs in the future. You should avoid companies that contact you on your phone to sell extended car warranty insurance. If you do not recall leaving your number with that specific company it is likely that they have taken your number from a registry list without your consent. Avoid companies that advertise extended car warranty insurance as covered car insurance. This often implies that your car repair is limited. To be safe listen to TV and radio advertisements carefully and research the company before you buy extended car warranty insurance from them. Selling extended car warranty insurance plans is competitive. In order to protect yourself from falling into another scheme you should pay attention to the approach of the companies. You should be aware of a company that distracts you from their policy and focuses on the faults of a competitor. This is a scare tactic which is intended to mislead you into buying their plan. If a company sells high mileage with a limited extended warranty then you should tread carefully. These companies advertise extended car warranty insurance plans as bumper to bumper but they are not. The word ‘Limited’ is the catch it is also termed component coverage. These companies may cover mechanical breakdowns to a certain degree but it is unlikely that they cover wear and tear. In order for the company to protect itself it will most likely deny your claim due to wear and tear. You need to be very clear on the contract between you and the warranty provider. Read the terms and conditions and the fine print. If you consider buying an extended car warranty insurance plan be aware of the companies you should avoid and use our service to request a quote from legitimate insurers. It is the only way to save money in the long term.